EZ Street is hot stuff in an easy-to-use cold mix. 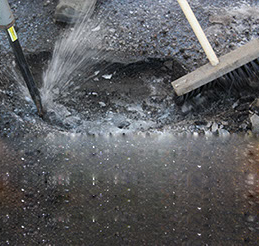 Consisting of choice ingredients, EZ Street’s cutting-edge methodology creates a strong technical backbone for applications such as potholes, utility cuts, small asphalt repairs, and small overlays. It’s permanent and it’s guaranteed. 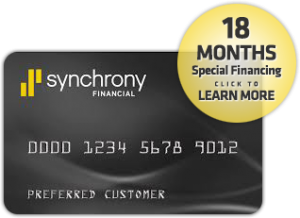 Try it once and you’ll be back for more! Kaplan Paving is an authorized EZ Street vendor and installer. We can sell small and large quantities as well as deliver any amount you need right to your job site or anywhere else. Works in ALL water & weather conditions! Potholes don’t wait for nice weather. 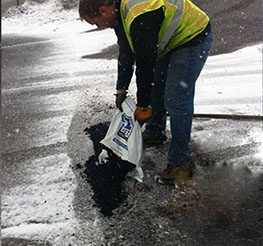 EZ Street cold asphalt can be applied directly into a water-filled pothole or other asphalt repair on a cold or rainy day. As soon as initial compaction is complete, the EZ Street asphalt repair is ready to open up to traffic. Finishing the job faster means fewer labor and equipment costs. 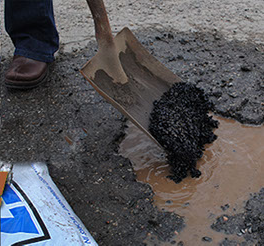 EZ Street cold patch requires no mixing and no tack coat. It can be applied directly onto a wet or dry surface with no preparation needed for a lasting repair. No special equipment required. 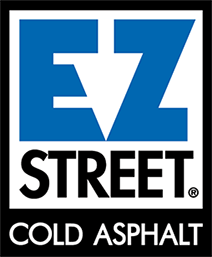 EZ Street cold asphalt is ready to use right out of the bag making it perfect for roads, parking lots, and driveways.